Additive manufacturing (AM), also commonly referred to as 3D printing is the process of building a three dimensional structure or component from the ground up, usually layer by layer. 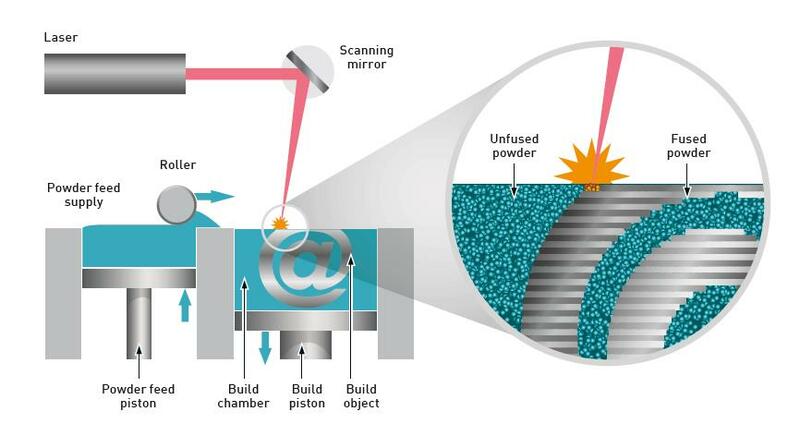 There are seven main categories of additive manufacturing processes, as defined by the ASTM Committee F42 on Additive Manufacturing Technologies. One of the fastest growing AM processes is powder bed fusion in which a powder layer is deposited on a building platform and a laser or electron beam is used to selectively melt or fuse the powder. After melting, the platform is then lowered and the process repeated layer by layer until the build is complete. Unfused powder is removed from the build chamber and usually recycled depending on its condition. Metal powders are the most commonly used materials although ceramic and polymer powders are also widely used. The efficiency of powder bed additive manufacturing processes and the quality of finished components is largely dependent on the flow behavior and packing density of the powders. Particle size directly influences these properties and hence is a key specification for powders used in this process, with the optimum particle size being 15-45 μm for Selective Laser Melting (SLM) and 45-106 μm for Electron Beam Melting (EBM). Particle shape and particle shape distribution are also known to influence how powders flow and pack and hence it is another key indicator of powder quality. Laser diffraction is an established technique for determining the particle size distribution of metal powders (ASTM B822) and works by measuring the angular variation of light scattered as a laser beam passes through a dispersion of the metal powder. It is a rapid, high-throughput and high resolution technique that allows all size fractions in the metal powder, including the amount of fines to be quantified, as shown below. Laser Diffraction assumes that all particles are spherical so while providing high resolution size data (based on an equivalent sized sphere) it does not give any information about shape. A complementary technique to Laser Diffraction is Automated Imaging where individual particle images are captured and analyzed to determine their particle size, particle shape and other physical properties. 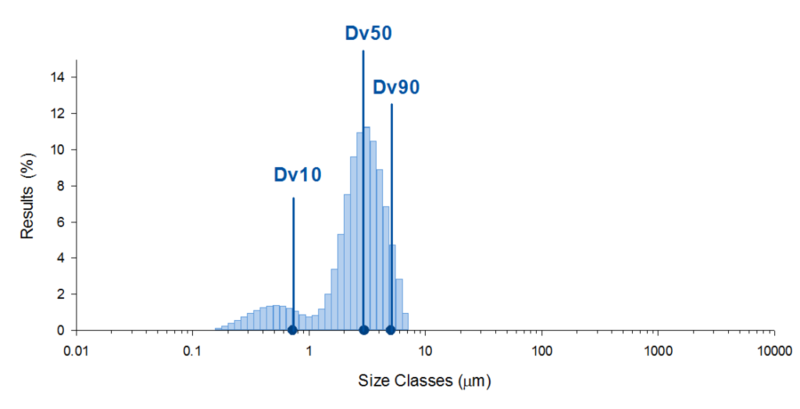 Statistically representative distributions can be constructed by measuring 10’s to 100’s of thousands of metal particles per measurement. Using advanced image analysis algorithms, particles can then be classed according to their surface roughness, irregularity and the presence of satellites, as illustrated below. Learn how LPW Technology utilizes Malvern Panalytical’s Morphologi G4 and Mastersizer 3000 to provide ‘Certified powders for additive manufacturing (AM) applications in the aerospace, automotive and biomedical sectors’. To find about Malvern Panalytical’s solutions for other AM processes then visit our Additive Manufacturing page.